Spring 2014 | Racing Hearts - Helping to save lives with AEDs. Our team spent the winter moving and shaking. In January - February we ran a 'Spot The Box' campaign and contest. The goal of the campaign was to create a publicly accessible map of local AEDs. With the lure of community mindedness and fabulous prizes, we encouraged people to go on a scavenger hunt of sorts - looking for AEDs. Using our AEDSpotter app, these 'hunters' searched all over and posted the pictures and locations of these life saving devices. Hundreds of life saving AEDs spotted! We are thrilled to report that during our 30-day campaign we had more than 500 active app users spot nearly 300 AEDs - shout out to the awesome spotters and sponsors. Spot The Box also helped ignited thoughtful discussions for employers, neighborhoods and schools about the need for AEDs in our community. As one executive director said during a recent conversation, "Spot the Box broke down barriers of feeling nervous vs. having the confidence that these devices are not only present at our location but that everyone should know where there nearest one is as they are so simple to use." We couldn't agree more! Although the contest is over, you can still join the campaign by adding to the map with the help of our AEDSpotter app. Both adding and/or verifying a current AED is appreciated. A better-informed first response community is a safer community. It's a win-win for everyone. 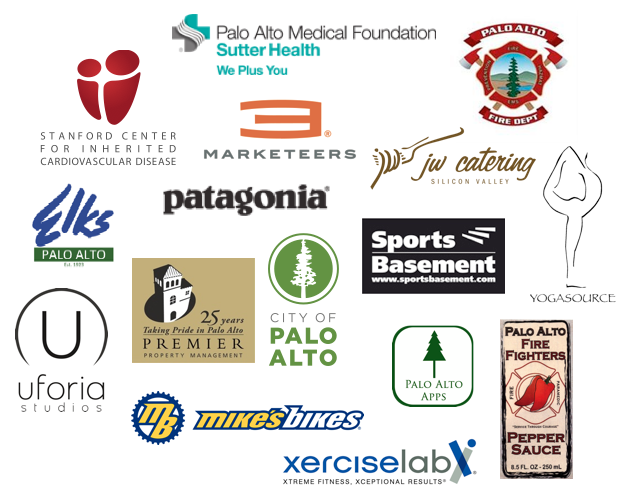 In late March we co-hosted a Racing Hearts 5K/10K fun run on the lovely Stanford Campus. We were thrilled to partner with Stanford Hospital and Clinics to raise awareness for heart health and support Stanford Heart Research. Three hundres runners and walkers, along with over 60+ volunteers came out to make a fun and memorable event. Check out who was there! Join our mission by donating, volunteering, or simply spreading the word about us - Click here! We sincerely appreciate your continued support.